Despite my usual policy of alternating them with what I think of as local-content posts, I’m going to crack straight on with another seminar report. This is mainly because if I had been doing this contemporaneously this is where the post announcing the upload of Justinian II’s coins would have fallen, and on my own blog I can be compulsive about chronology if I like darn it, and partly because the next local-content post requires me to read sixty pages of Italian to do it properly so will take time, but it also gets us back to the Iberian Peninsula, because on 17th March 2015 there had come direct from there no less a figure than Professor Juan Antonio Quirós Castillo, to speak at the Institute of Archaeology and British Museum Joint Seminar with the title, “Agrarian Archaeology in Northern Iberia: a general overview of medieval landscapes”, and I felt I should be there and take part. 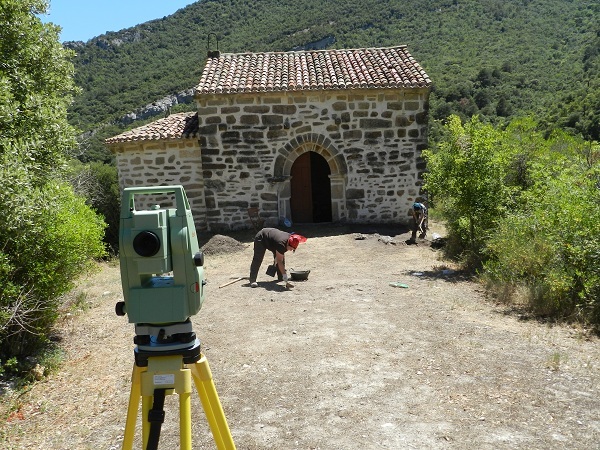 One of Professor Quirós’s teams at work at Lantarón in Castile, not the right area but a good picture! Although in some ways I catch the worst of it in Catalonia, where scientific archæology and money to do it both seem rare, actually Northern Spain has been doing really well in the field of ‘new archæology’ in recent years, especially as cheaper techniques than radio-carbon dating have begun to proliferate, and up until the market crashes of 2008 there was also quite a lot of work being funded. Professor Quirós has been at the forefront of a lot of that work, and so is remarkably well-placed to give a synthesis.1 Here he was focused especially on the Basque country (which is after all where he works) and started his comparisons from there, but I know very little about that area so that was fine with me. The paper basically consisted of a series of short ‘state of knowledge’ round-ups of various sorts of evidence and then an overall summary and speculation on the remaining unknowns. The geographical focus also meant that a lot of that knowledge was about farming and peasant settlement, because there simply isn’t much else that’s so far been located until quite late on, except one outlier site of which we will say more in a moment. So we had material from field survey, the archæology of structures, zooarchæology, artefactual evidence, field systems, manufacturing and palæobotany, all taken thematically and joining up at particular questions. All this has been going on with quite some energy in the last decade or so, and the points it’s bringing up are probably best discussed in the overall chronology that Professor Quirós was now able to put forward. This went something like this. In the fifth and sixth centuries we start to see new villages forming, in the first real change since the collapse of the Roman Empire, which never had much business up here anyway, but the landscape is decentralised and disarticulated, with very low levels of material culture not being transported for any distances. Silos, previously built big, are now built small, suggesting accumulation has dropped to a household level from a community one. Land use seems, from pollen and so forth, to be going up over the period but there’s little sign of increase at the settlements. In the seventh century, however, field systems begin to show up and so does long-range transhumance (visible in the huts of the travelling herdsmen), and the one estate centre they’ve managed to locate, at Aistra, starts up in this period as well, with enough command of labour to get terraces built, not a small job. This all suggests the beginnings of some hierarchy. In the ninth century there starts to be documentation, mostly from the monastery of Valpuesta at the very western edge of the zone, but the archæology also speaks of more field system organisation and a return to transhumance, while the ways that animals are being slaughtered suggest a system of renders; there are communities which seem never to dispose of particular cuts of pork, for example, even though they have the rest.4 Cattle also start to turn up in the west, suggesting people doing things differently, but on the other hand, animals seem to have begun to shrink in this period, and their diets (which can be got at via isotopic remains in their bones) became more restricted. Those two things are obviously probably linked but they may suggest a shift to home husbandry and therefore enclosure of what had previously been commonly-available pasturing. 1. As well as the various project blogs linked in the post above, see (just to pick the most comprehensive things on this post’s themes from his last few years of publications) J. A. Quirós Castillo, “1911-2011: un siglo de excavaciones arqueológicas en los castillos medievales del País Vasco” in idem & José María Tejado Sebastián (edd. ), Los castillos altomedievales en el noroeste de la Península Ibérica, Documentos de arqueología medieval 4 (Bilbao 2012), pp. 123-143; Quirós, “Los comportamientos alimentarios del campesinado medieval en el País Vasco y su entorno (siglos VIII-XIV)” in Historia agraria Vol. 59 (València 2013), pp. 13-41; Quirós & Giovanni Bianchi, “From archaeology of storage systems to agricultural archaeology” in Alfonso Vigil-Escalera Guirado, Quirós & Bianchi (edd. ), Horrea, barns and silos: storage and incomes in Early Medieval Europe, Documentos de Arqueología 5 (Bilbao 2013), pp. 17-22; Quirós, “Archaeology of power and hierarchies in early medieval villages in Northern of Spain” in Ján Klápšte (ed. ), Hierarchies in rural settlements, Ruralia 9 (Turnhout 2013), pp. 199-212; and Quirós (ed. ), Agrarian archaeology in early medieval Europe, Quaternary International 346 (Amsterdam 2014). 2. I’m thinking here of work like Margarita Fernández Mier, “Changing Scales of Local Power in the Early Medieval Iberian North-West” in Julio Escalona & Andrew Reynolds (edd. ), Scale and Scale Change in the early Middle ages: exploring landscape, local society, and the world beyond, The Medieval Countryside 6 (Turnhout 2011), pp. 87-117, and especially Robert Portass, “Rethinking the ‘small worlds’ of tenth-century Galicia” in Studia Historica: historia medieval Vol. 31 (Salamanca 2013), pp. 83-103. 3. That is, if it really was a peasants’ revolt; on the misinterpretations of this episode, which has served many historiographical agendas, see this old post. 4. The Valpuesta documents are edited in Desamparados Pérez Soler (ed. ), Cartulario de Valpuesta (Valéncia 1970). On peasant diet in the area see Quirós, “Comportamientos alimentarios”. 5. I’m sure you know the works I mean, but for completeness let’s get them in: Georges Duby, The Early Growth of the European Economy: warriors and peasants from the seventh to the twelfth century, transl. Howard B. Clarke (London 1974) and Pierre Bonnassie, La Catalogne du milieu du Xe à la fin du XIe siècle : croissance et mutations d’une société, Publications de l’Université Toulouse-le-Mirail 23 & 29 (Toulouse 1975-1976), 2 vols, but see also La croissance agricole du haut moyen âge : chronologie, modalités, géographie. Dixième Journées Internationales d’Histoire, 9, 10, 11, Septembre 1988, Flaran 10 (Auch 1990), a conference in which both took part. 6. I’m thinking of the studies that have come out of the experimental archæology done at l’Esquerda in Catalonia, particularly Peter Reynolds, “Mediaeval cereal yields in Catalonia & England: an empirical challenge” in Acta Historica et archaeological mediaevalia Vol. 18 (Barcelona 1997), pp. 495-507, online here, repr. in Immaculada Ollich, Montserrat Rocafiguera & Maria Ocaña (edd. ), Experimentació Arqueològica sobre Conreus Medievals a l’Esquerda, 1991-1994, Monografies d’Arqueològia Medieval i Postmedieval 3 (Barcelona 1998), pp. 121-128, and Carmen Cubero i Corpas, Ollich, Rocafiguera & Ocaña, “From the granary to the field: archaeobotany and experimental archaeology at l’Esquerda (Catalonia, Spain)” in Vegetation History and Archaeobotany Vol. 17 (New York 2008), pp. 85-92, DOI: 10.1007/s00334-007-0111-0, but here also especially Reynolds & Christine E. Shaw, “The third harvest of the first millennium A. D. in the Plana de Vic” in Ollich (ed. ), Actes del Congrès Internacional Gerbert d’Orlhac i el seu Temps: Catalunya i Europa a la Fi del 1r Mil·lenni, Vic-Ripoll, 10-13 de Novembre de 1999 (Vic 1999), pp. 339-351. 7. There seem to be only interim reports and some specialist publications on Aistra so far, the reports being: A. Reynolds & Quirós, “Aistra (Zalduondo): I Campaña” in Arkeoikuska 2006 (Vitoria 2006), pp. 94-100; eidem, “Despoblado de Aistra”, ibid. 2007 (2007), pp. 159-167; Quirós, “Poblado de Aistra”, ibid. 2008 (2008), pp. 209-211; & Quirós & Reynolds, “Despoblado de Aistra: IV Campaña”, ibid. 2009 (2009), pp. 176-180. The backlog now advances to the autumn term of the academic year just gone, a mere ten months now, and finds me in the Medieval Seminar of the Centre for the Study of the Middle Ages at Birmingham on 7th October 2014, when one of our resident scholars, Arezou Azad, was presenting with the title, “Balkh Art & Cultural Heritage Project: exploration, maps and Silk Road history from northern Afghanistan”. I should read Arezou’s book, because although Balkh is some way off my usual patch it’s really interesting, a real point where worlds met as the routes across the north of the Himalayas arrived at a junction heading both south to India and west to Persia, a major early Buddhist centre and that not the first or last faith to locate itself there, this also being the place of death of Zoroaster; under medieval Islam, likewise, it was a thriving university town that supplied many of the Caliphate’s leading scholars, and now somehow it’s a place almost no-one in the West has heard of.1 So I was eager to find out what I should already have read in the speaker’s book, which is always one gain of going to seminars, isn’t it? All of this is however complicated by the fact that the project is trying to study a place now in Afghanistan, which is not currently perfectly accessible… Balkh is largely clear of warzone but local security is still quite tight, not least because that actually puts it very close to the border with Uzbekistan. That also has the complication that sites in the city’s old territory are now in fact across the border, meaning that they have to have a team member working with old Soviet archæological reports on finds that they can’t get at. The finds that they can get at, meanwhile, are in Kabul, were mostly excavated by French teams in the 1970s and were found in storage of the most dreadful kind, rooms full of uncatalogued potsherds and coins carefully stored in airtight plastic bags with perhaps just a little bit of moisture along with them that consequently provided perfect conditions for thriving populations of mould to grow on them then die in the bag.3 Even once conserved, the original records of these coins’ discovery context has been lost, and the situation is little better for many of the other finds, but what little is known suggests that they are only from two or three areas of the city, so that a great deal remains archæologically blank. A coin of al-Mubarak, which is to say Balkh, cleaned and conserved; I can’t tell you metal or date but it’s one of the finds! The team can’t afford to maintain an actual presence in either Balkh or Kabul except for local interns, who have been having to work largely unsupervised and unpaid with what help the Délégation archéologique française en Afghanistan is able to offer. This seems not to have stopped them making great efforts, but it’s obviously not ideal and putting their findings to work is very difficult. Indeed, at the time Arezou was speaking, the whole team had only been able to meet twice since they began the project in late 2011, although there was to be a conference in January 2015, which seems to have been the last time the project website was updated. The publication of those papers is obviously a desideratum, but at the end of Arezou’s paper my hopes for what they may contain were, I have to admit, considerably dampened.4 It seems as if new primary material is going to be very hard to add into any new synthesis, so the best we can hope for may be the refinement and greater accessibility of earlier syntheses. There are some places—and many worse than this, right now—which we just can’t study properly! The conference looks as if it may have been fun, though! Here the pictures from it show Professor Hugh Kennedy in discussion with Dr Mark Whittow. 1. That book being A. Azad, Sacred Landscape in Medieval Afghanistan: Revisiting the Faḍāʾil-i Balkh (Oxford 2013). 2. A. Azad, “Female Mystics in Medieval Islam: The Quiet Legacy” in Journal of the Economic and Social History of the Orient Vol. 56 (Leiden 2013), pp. 53–88, DOI: 10.1163/15685209-12341277. The Bactrian documents have been being published for some years now as Nicholas Sims-Williams (ed. ), Bactrian Documents from Northern Afghanistan, Vol I: Legal and Economic Documents (Oxford 2001), idem, Bactrian documents from Northern Afghanistan, Vol. 2: Letters and Buddhist texts (London 2007) and Bactrian Documents from Northern Afghanistan III: Plates (Oxford 2013), which must have been a trial judging by the three different publishers. The Fada’il-i Balkh has been edited before, as Shaykh al-Islām al-Wā’iz & ‘Abd Allāh al-Husaynī (edd. ), Fadā’il-i Balkh (Tehran 1350 ), but this is apparently “inadequate” (Azad, Sacred Landscapes, p. 22 n. 2), and a new one by project member by Ali Mir Ansari, which will then be translated by Arezou and Edmund Herzig, apparently as Azad, Ansari & Herzig (transl. ), Faḍāʾil-i Balkh (London forthcoming), is in progress still. 4. Arezou’s Birmingham webpage does mention as forthcoming something that looks as if it might be that publication, A. Azad, Edmund Herzig & Paul Wordsworth (edd. ), Early Islamic Balkh: History, Landscape and Material Culture of a Central Asian City (forthcoming), but that’s the only trace I can find so far. Returning to the backlog on reporting what others think about the Middle Ages finds me now at the second day of the International Medieval Congress 2014, on 8th July 2014, and faced with some hard choices between sessions. In the end, I chose this one because I knew one of the people in it, had reviewed the work of another and Wendy Davies was moderating, and this is what I got. Frode Iversen, “Impact of Empires: the Scandinavian fringe AD 200-1300”. Letty Ten Harkel, “On the Edge of Empire: early medieval identities on Walcheren (the Netherlands)”. Margarita Fernández Mier, “Peasant Communities and Distant Elites in Early Medieval Asturias”. As you can see, the unifying thread here was Carolingian periphery, but this didn’t always make it through. Dr Iversen gave a very rapid run-through of significant bits of the settlement history of Norway, and when he began to speak of how urbanisation fitted to a new structure as if he’d described change, I realised I must have missed something. I also struggled with Dr Fernández’s paper, although the sites she was talking about, rural sites whose material culture might tell us something about the links from elite to peasants in early medieval Asturias, were very interesting-looking, but as it turned out known much more from place-names than anything more material. She drew a picture of competing local identities visible in funerary archæology and developing church sites that would be familiar in Anglo-Saxon England, however, and looked worth chasing in more places. Both of these papers had a tendency to argue for connection between sites that seemed to me from their maps to be a good distance from each other, in the former case up to 50 km, however, and I wasn’t sure that either case had been demonstrated. Letty Ten Harkel was also arguing for very local identities in her study area, however, and in particular in what has apparently been seen as a chain of associated ringforts along the Netherlands coast that have been blamed placed either in the reign of Emperor Louis the Pious of the Franks (814-840) from texts or the 890s from radio-carbon. The latter is problematic, because by then the area was split between two kingdoms, but Letty argued that there is such variation in size of and finds at these forts that they actually make more sense read as very local lordship centres, erected independently of each other. 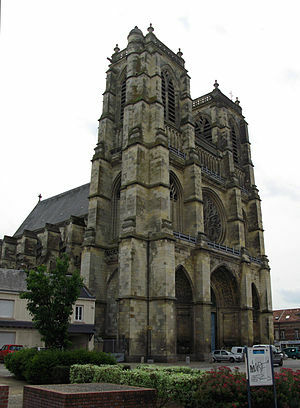 If there was outside influence, for Letty it was coming from the reviving bishopric of Echternach, not in the era of its Carolingian foundation but in the twelfth century. For me this paper connected most closely to the theme of the session, but only by disputing it! Nonetheless, my interest was piqued enough to come back for more once caffeinated, as follows. Alex Langlands, “Empire and Infrastructure: the case of Wessex in the ninth and tenth centuries”. Iñaki Martín Viso, “Local Communities and Kingship South of the Duero, 9th-11th Centuries”. Álvaro Carvahal Castro, “The Astur-Leonese Power and The Localities: changing collective spaces (9th-10th centuries)”. This session played a lot closer to my usual interests. Dr Langlands was chasing a word, ‘herepath’, literally ‘army-path’ but using a word for army that usually means raiders’ bands, not the army you serve in, and one would think that a path wide enough to carry an army might in fact be a road anyway, so it’s a funny term. Most of the references are in Anglo-Saxon charters, and while Dr Langlands argued convincingly that these paths appear mainly as links between sites rather than routes as such (though now I write that I am no longer seeing the difference) I wasn’t really sure that we could be sure they were anything to do with either roads, bridges or army-service, all of which had come into the argument. Wikimedia Commons believes this to be an actual herepath, near Avebury, and who am I to say different? “Herepath Avebury England” by Chris Heaton. Licensed under CC BY-SA 2.0 via Wikimedia Commons. Professor Martín then took us into the almost-unknown territory of the southern Duero valley in the centuries either side of the year 1000. Somewhere in this period, and with setbacks due to the final, red giant phase of Muslim rule in Córdoba, the kings of Asturias-León acquired a dominant control in this area and most of what we have is to figure it out with is archæology. With it, Professor Martín depicted a process by which the king used military service, and his ability to demand it (or possibly to convince local élites to join in with it) to elbow those élites into a position of obligation to him. He tied this to a particular sort of fortress with square towers and sloping walls that seems to be Andalusi workmanship but in a zone that was never under Andalusi control; I myself thought that that was a very unsafe thing to say, but the general proposition could fit round what I think happens in such zones. A location of military service in Viseu, one of Dr Martín’s example sites, even if that service would have been a bit later: this is the Porta dos Cavaleiros. “Nt-Viseu-Porta dos Cavaleiros“. Licensed under Public Domain via Wikimedia Commons. I’ve gone into some detail with this because these questions, of why people on the edge of polities decide to join in with them, are meat and drink to me and my frontier interests, and as Charles Insley rightly pointed out in discussion, the crucial questions here are ones of agency: who makes anyone in these situations do stuff? All three speakers offered answers, although Professor Martín’s was mostly a judicious refusal to guess where there was no evidence. Only Álvaro seemed to me to have a clear eye on what sort of people these local élites actually were, however, a problem we’ve discussed before, and I offered the answer I even then had in press and alas still do, to wit that we can at least see them in church consecrations, leading their communities.2 Alas, this is a category of evidence that only exists in Catalonia, so Professor Martín remained obdurate, only suggesting that the fueros of the twelfth century indeed suggest some continuities that we can’t, all the same, prove. He’s right, of course! Naomi Standen, “A Forgotten Eurasian Empire: the Liao dynasty, 907-1125”. The Fugong Temple Pagoda, built in 1056 by Emperor Daozong of Liao. By Gisling (Own work) [GFDL or CC BY-SA 4.0-3.0-2.5-2.0-1.0], via Wikimedia Commons. , so we will either way know more before long. Thus refreshed both physically and mentally, I headed some of the way back west. Harry Munt, “The Umayyad Imperial Rationale and Hijazi Cities”. Hannah-Lena Hagemann, “Rulers and Rebels: Kharijite Islamic resistance to Umayyad authority in early Islamic historiography”. This was an interesting and tightly-focused session, even if again about the category of ’empire’ as much as the actual materials of the presenter’s study. Dr Marsham invoked the work of Michael Mann (which I should know better3) and used its categories to argue that the early Islamic caliphate, with its emphasis on dynastic succession, its religious qualities attached to state office, its structured hierarchy of that office and its tax system, was as much an empire as the late Roman one it replaced, which given the inheritance perhaps shouldn’t be surprising but still often is. The other two papers focused on opposition to the Umayyad Caliphs, but from two different sources, in the case of Dr Munt from the cities in the Hijaz area of modern Saudi Arabia and most notably Medina, whose ruling class never aimed at separation from the state but frequently rebelled to achieve better inclusion in it. In the case of Dr Hagemann, however, the rebellion came from the Kharijites, a sect of early Islam who declared, according largely to their opponents, that there were no legitimate successors to the Prophet and therefore rejected all attempts at command in his name; she pointed out that even some of those enemies still used them, in pleasingly Roman style, as a foil for criticism of the Umayyad régime where those writers felt it had gone so far wrong as almost to justify the reaction of the supposed ‘heretics’. It all gelled very nicely and in discussion I witnessed, for the only time I can remember, someone successfully defend their point against a question about the economy from Hugh Kennedy, no small achievement. Vicky Melechson, “From Piety to the Death Penalty: new capital crimes in the Carolingian Empire”. Graham Barrett, “Legislation and its Afterlife in Early Medieval Europe”. So I was late for the start of Ms Melechson’s paper but caught her point quickly, it being that while the Romans really only imposed the death penalty for crimes against the emperor, and the various barbarian laws attempted to divert people from vengeance for murder to compensation payments, nonetheless the influence of the Old Testament in the way the Carolingian kings presented themselves made capital punishment an appropriately Biblical step for increasingly many things. There are arguments one could have with several parts of that but the basic argument seemed well-founded. I got rather less out of Dr Fischlowitz’s paper, which was given largely from the perspective of teaching modern law using the ‘barbarian’ laws as examples. It sounded as if she was having great fun doing it but the paper nonetheless really only told us what she found the most striking bits of late Roman and Frankish law. But it was all worthwhile for Graham’s paper, which was him absolutely on form: he was arguing that although we know and read late Roman and early medieval law as codes, big books of more or less organised and collected legislation, it could almost never have been used like that, especially not the huge late Roman codices. It was also hardly ever issued like that: the late Roman codes explicitly compile decisions, largely reactive rather than proactive, fragmented and disparate, from centuries apart by many different emperors, the Visigothic Law does some of the same work and citations like this also appear in the Salic and Burgundian laws. What this means is that capitulary legislation like that of the Carolingians would actually have been the primary form of law, and the codes we think of as definitive only its secondary collection, which could have very little to do with law as it would have been used, as dockets and loose gatherings of relevant edicts, rescripts and proclamations. This was one of those papers that seemed to make everything very obvious which before had not been, and I hope as with almost all of Graham’s work that we get to see it in print before very long. It provoked a lot of discussion, also, with Paul Hyams wisely pointing out that law that got written relates only to the problems that couldn’t be solved more locally, and is therefore always outstanding. There was also some discussion about law that gets made as part of a treaty process, to which Dr Fischlowitz offered the Lex Romana Burgundionum, intended to regulate the relations of the Romans of what is now Burgundy to the newly-arrived military group after whom it got named, and I proffered the Treaty of Alfred and Guthrum, after which, probably wisely, the moderator drew the session quickly to a close. 1. On such groups see now Robert Portass, “Rethinking the ‘small worlds’ of tenth-century Galicia” in Studia Historica: Historia Medieval Vol. 31 (Salamanca 2013), pp. 83-103, online here. 2. Few better statements of this line of thought are available for Spain than Álvaro’s own “Superar la frontera: mecanismos de integración territorial entre el Cea y el Pisuerga en el siglo X” in Anuario de Estudios Medievales Vol. 42 (Madrid 2012), pp. 601-628, DOI: 10.3989/aem.2012.42.2.08, but I hope soon to be adding to it in “Engaging Élites: Counts, Capital and Frontier Communities in the Ninth and Tenth Centuries, in Catalonia and Elsewhere” in Networks and Neighbours Vol. 2 (Leeds forthcoming for 2014), pp. 202-230, preprint online here. 3. Presumably most obviously M. Mann, The Sources of Social Power Volume 1: a History of Power from the Beginning to AD 1760 (Cambridge 1986)? I wonder if this will supply something I found myself in want of in a dissertation supervision a few weeks ago, too, a cite for the conceptual differentiation of ‘intensive’ and ‘extensive’ lordship. If anyone reading happens to have one handy, however, I’d be glad of it!